The ten-track album opens with the sound of waves crashing on the shore for Slow Your Roll. John opens with a short guitar solo before the distinctive sound of TJ’s vocals from their debut EP take over for the take a depth breath and let life slow down track. One of my favourite parts of the debut EP was John’s guitar solos and you only need to wait for till the second track to get one of these as he is let loose in the debut single from the album, Shoot Me Straight. The drinking song where you aren’t concerned about the hangover that’s going to come tomorrow. It’s time to get your breath back with I Don’t Remember Me after the full throttle Shoot Me Straight. A song about reminiscing wilder times with regret as they are now a distant memory that you are no longer single. As the album continues we take a look at the important things in life and for the brother’s bad press doesn’t upset them as all they would be happy with is weed, whisky and most importantly their country music vinyl’s in Weed, Whiskey and Willy. Kendall Marvel, who will be opening for the brothers on their upcoming tour, has a writing credit on Tequila Again. The hangover song. I’m sure many have asked the same question and many have said they’re never drinking again. That is the question asked here – asking myself why the hell I fell in love with tequila again. A Couples Wrongs Makin’ It Alright picks the tempo up with another one of John’s guitar solos for good measure. Marvel has more writing credits on Pushing Up Daisies and Drank Like Hank. Pushing Up Daisies is asking for a romance to last forever while Drank Like Hank returns to the bar with an explosive intro as you try to remember what happened last night. All you can be sure of is that you had one hell of a good time and you made the most of the night drinking like hank. A Little Bit Of Trouble contemplates the decision to start a relationship as you might be asking for trouble! The album comes to a close with While You Can. It’s about living in the moment and making time for the people that are important to you as nothing lasts forever. 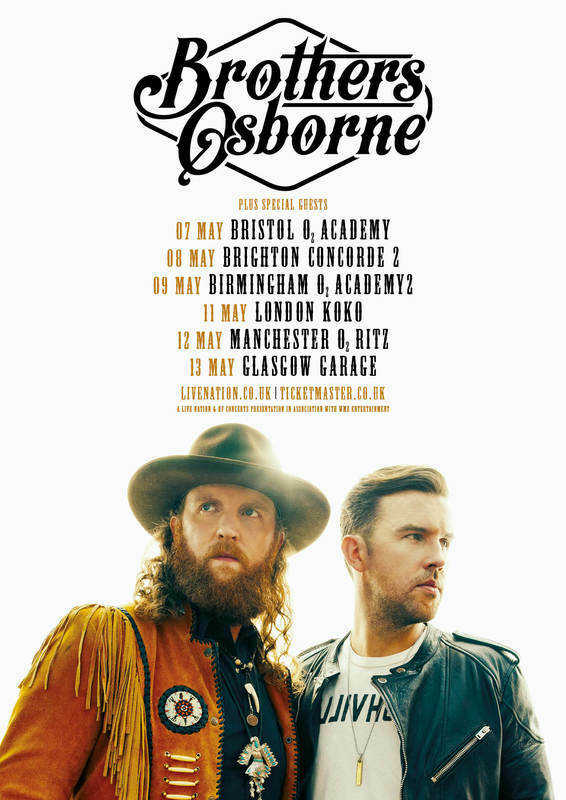 As the brothers prepare to bring the new tracks to this side of the Atlantic in just two week’s time for their first full headline tour after supporting The Cadillac Three last year and an appearance at Country to Country in 2016 this may be the best 38 minutes of your year so far. The album has carried on where Pawn Shop left off with a mixture of up tempo drinking songs, slow ballads and of course the now expected John Osborne guitar solos.